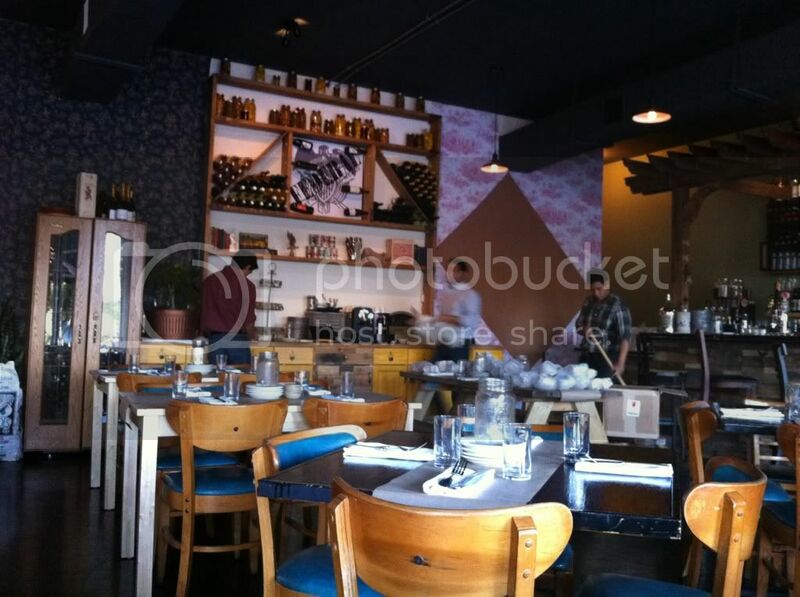 Fatgirl Hedonist: :CLOSED: The Federal Serves Up Food Even Obama Would Approve! 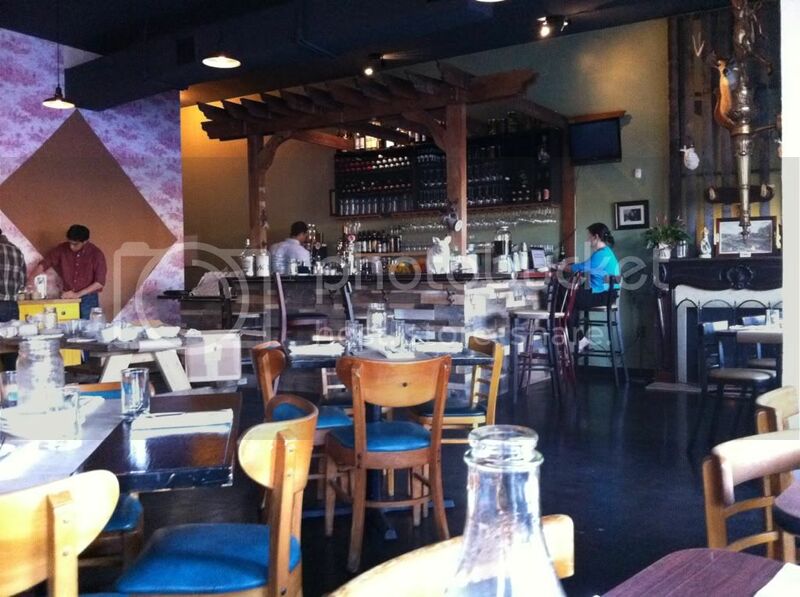 :CLOSED: The Federal Serves Up Food Even Obama Would Approve! Some of the amazing folks that brought Miami their first pop-up restaurant, Phuc Yea!, have set up shop on Biscayne and 51 st in a small shopping plaza. 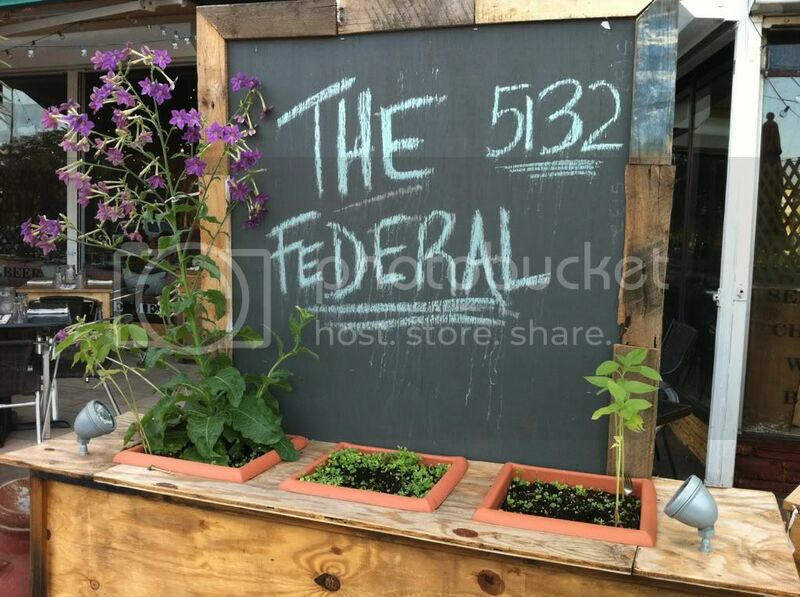 The name of their new adventure is The Federal Food Drink & Provisions, lovingly called The Fed for short. The restaurant aims to bring together an old-world American Tavern and 21st century style. Once inside you definitely feel like you’re in a funky cabin of sorts with delicately picked accents that tie in modern day flare and design. The food itself is funkdified new american in my book. If you ever got a chance to visit Phuc Yea while it was at the top of its game, you know these folks aren't afraid of living on the edge of the culinary world. 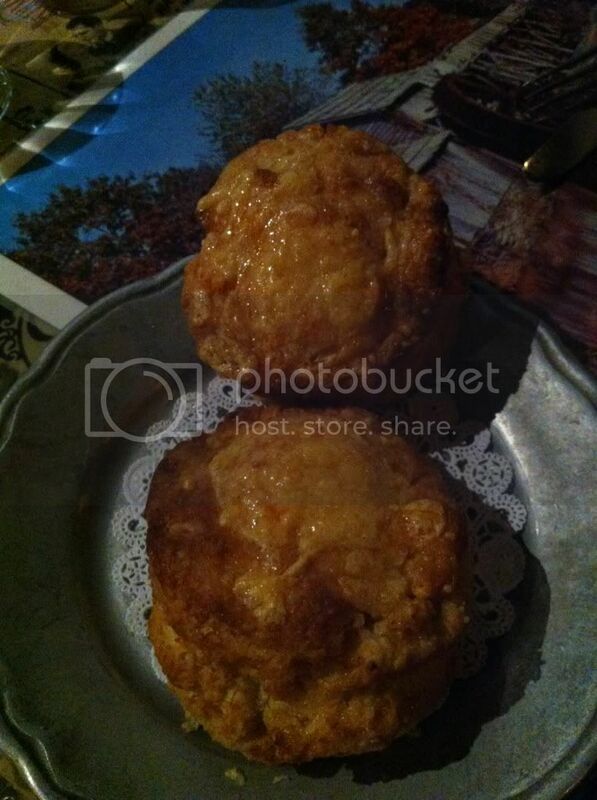 Now onto the food; I decided to check out their Cheese biskits as an appetizer. Holy hell. 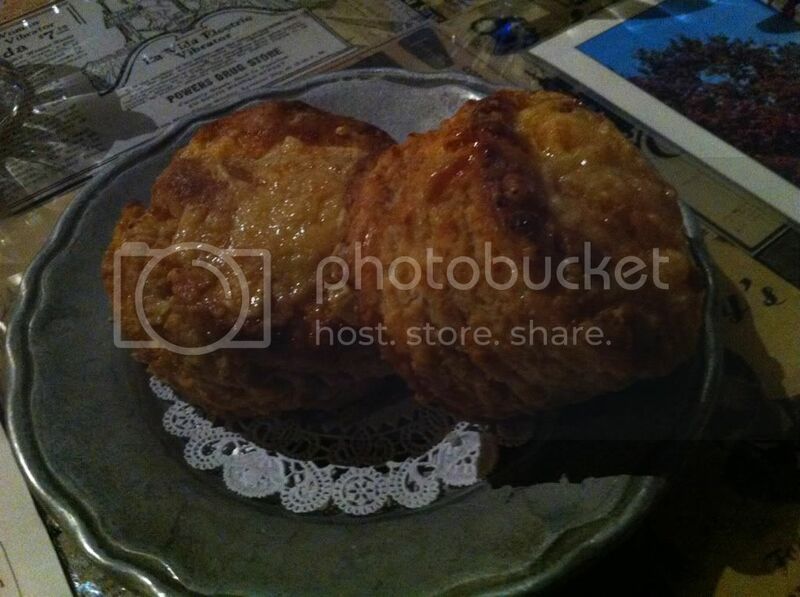 These biscuits are not only huge, fluffy and flaky, but the flavor is outrageous. Aunt Jemima ain't got nothin on the biscuits being served up at The Fed. They’re brushed over the top with honey and then topped with melted (crispy in some parts) and delicious cheese. They’re served with a side of fresh Virginia butter, but in all honesty, these things are so flavorful that you don’t need the butter. While eating them, all I could daydream about is how awesome a fried egg and some bacon would be inside the biscuit. Up next, I tried their Crispy Beef Bits. When I asked the waiter what bits of beef were they exactly, I was surprisingly told that it’s actually omasum tripe. Not the answer I was expecting, but I was definitely intrigued. Having grown up in a household where dishes like Mondongo were cooked regularly, I was very familiar with tripe. Hence my extreme hesitancy. I tried it and was completely knocked off my feet. 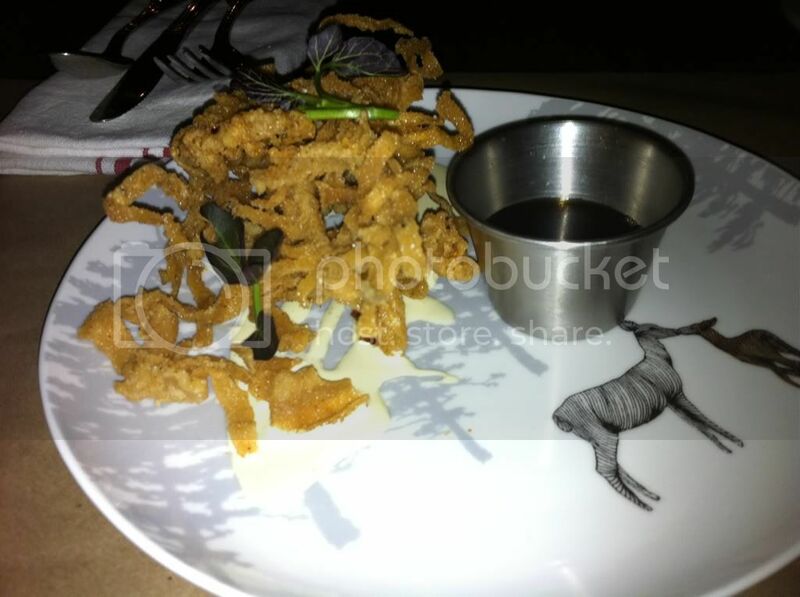 The tripe was really crispy and dusted with BBQ seasoning; they almost reminded me of Lays Mesquite BBQ chips. What made the flavor really pop was the savory maple dipping sauce that the tripe was served with. The maple sauce definitely plays on the sweet and salty vibe that I love so much. Definitely something funky, different to try if you’re feeling adventurous. 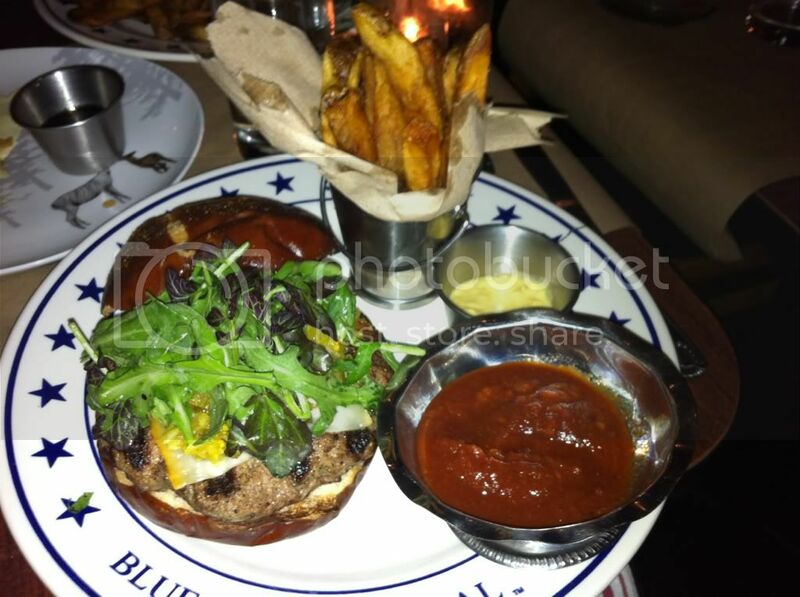 As an entrée I had their Grove Farm’s Lamb Burger. This burger is definitely not your usual quarter pounder. This big-mama burger is made out of fresh lamb then topped with goat cheese, horseradish mustard, chow-chow relish and sprinkled with some arugula. All of that goodness is squeezed between pretzel buns. There is a whole lot of flavor going on here; between the relish, horseradish mustard and goat cheese, your taste buds will have a hard time keeping up, but it’s well worth it. The meat is well cooked and lightly seasoned. Although there are a lot of sharp flavors in this burger, they all play great together. The perfect side dish to this burger is their freshly cut fries, I am usually really picky about fries and these were great. They’re lightly seasoned and fried crisp, served alongside their house-made ketchup. There’s nothing weird or funky about the fries, which makes it a nice pairing for the out-of-this-world burger. 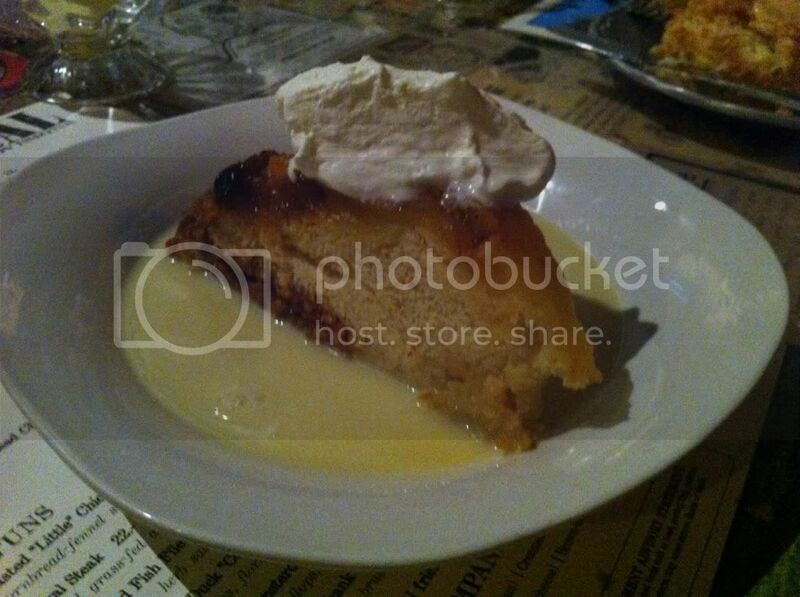 Lastly, I had their “Unicorn” dessert; which is a magical name for their pineapple upside down cake. It’s not on their regular menu, it is a rare specialty whipped up by these good folks. One bite had me saying, “Phuc yeaaa!” It was moist, rich, with pineapple chunks and real vanilla flavor. It made me reminisce about my childhood when my mom would bake pineapple upside down cake as a Sunday treat if I got A’s on my spelling tests. The cake itself is soft, very moist and almost fluffy. The giant dollop of fresh whipped cream went perfectly with the large slices of pineapple that were very juicy. The cake itself was placed over a pool of what appeared to be condensed milk (oh phuc yea!). 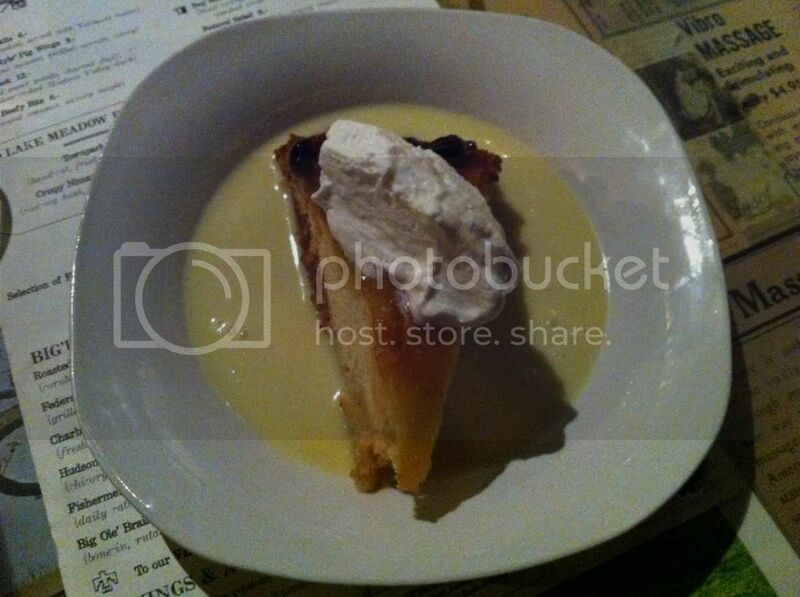 I really enjoyed this dessert, it’s an old school favorite of mine done very well. I’am even contemplating starting a petition to have it on their permanent menu. There are several dishes I still have to go back and try, like their jar o’ duck and pig wings. They have a solid craft beer selection and innovative dishes that will make just about anyone scratch their heads in wonderment. I’m excited for the team behind this venture as they are just kicking off their Sunday brunch. Definitely check this place out if you’re looking for something different and fun. Question. I have a 4-yr old. Adventurous eater and good sport when it comes to going out to restaurants. Is Federal cool enough spot that my wife and I could take him for an early dinner. We've been wanting to try it for a while now, but were unsure if it would be cool to bring him along. Any thoughts are much appreciated. It looks awesome and your pics are great. Hey chad! I thinks The Federal would be totally appropriate and cool for your 4 year old to come along, especially for an early dinner. Let me know what you think if and when you go!